If you enjoy books, especially fantasy novels, then this is the figurine for you! 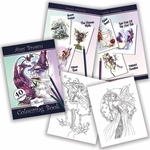 The charming pixie lady is based upon the artwork of Amy Brown. 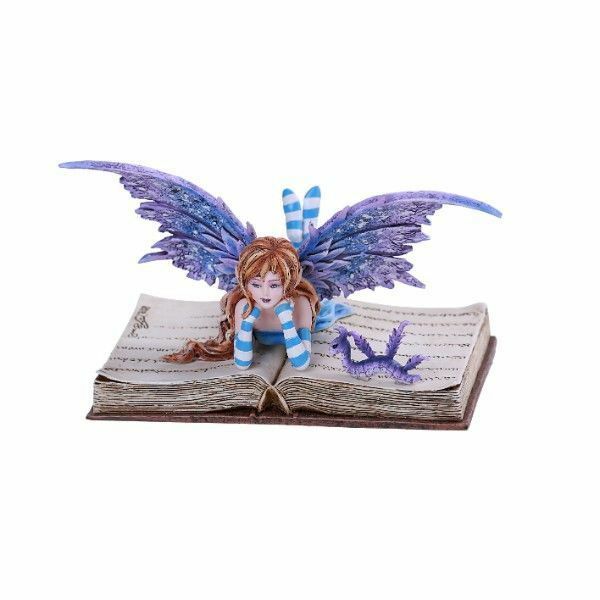 The fairy girl has striped blue and white socks and indigo wings, and lays upon the open pages of a novel, with a little friend to keep her company. A great gift idea for the reader in your life!